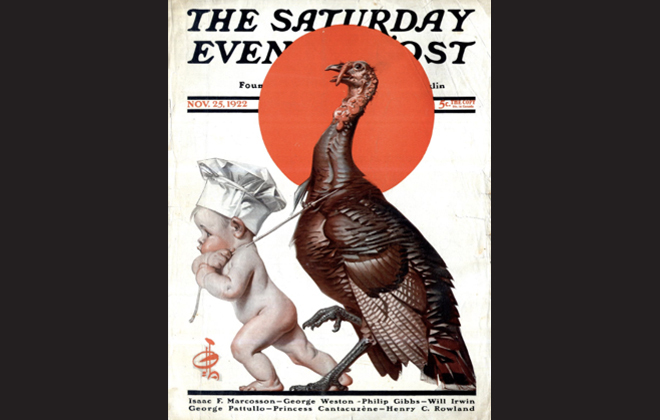 A few brilliant cover illustrations from the Saturday Evening Post to celebrate one of the most wonderful holidays. A treasure of a publication that was a real pioneer in the use of illustration and cover art. It is over 300 years old and distinguished itself through its cover artwork. 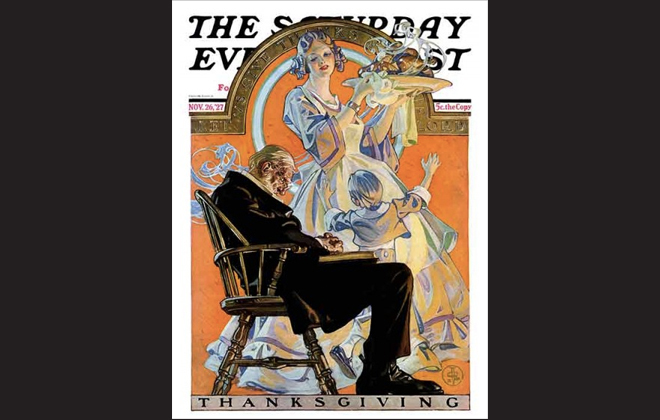 This cover is by J.C. Leyendecker and dates back to 1908. 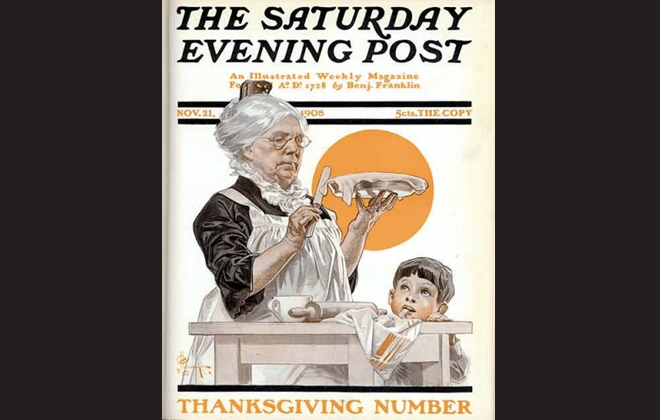 These covers, the most famous of which were painted by Norman Rockwell, connected readers in a more intimate way with the magazine. Americans everywhere recognized the art of the Post and usually eagerly awaited the next issue because of it. The Saturday Evening Post featured short stories and commentary by such famous authors as F. Scott Fitzgerald among many others. What a special illustration again by Leyendecker from 1927. For this one I have no words other than amazing. Not sure if this was meant to be humorous…but I find it funny! To our American readers, I sincerely hope that you are enjoying a wonderful Thanksgiving celebration.